This book has been handcrafted and carefully tailored to perfectly deliver a fun, fast and firm Quran learning experience. This book has taken the best of the timeless content of Quran learning and enhanced it with modern teaching pedagogy and design to produce a truly unique resource. Children don't just flick through pages in this book, rather than embark on a journey through seven adventurous islands each with its own challenges. But with the help of friendly characters and motivational hadeeth they celebrate their wins by with milestone sticker flags along the way until they reach the final accomplishment. Through these elements, each child is essentially creating their own story, filled with fun, adventure and happy memories, all the while endearing them to the Quran along their learning journey. The WAY your child learns to recite the Quran will stick with them for life. 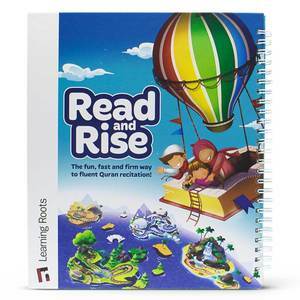 Read & Rise is hands-down the most fun, vibrant and inviting Qaida produced to date. 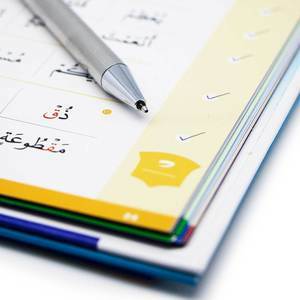 Create great Quran learning memories for your child now. Click the Add to Cart button to order.